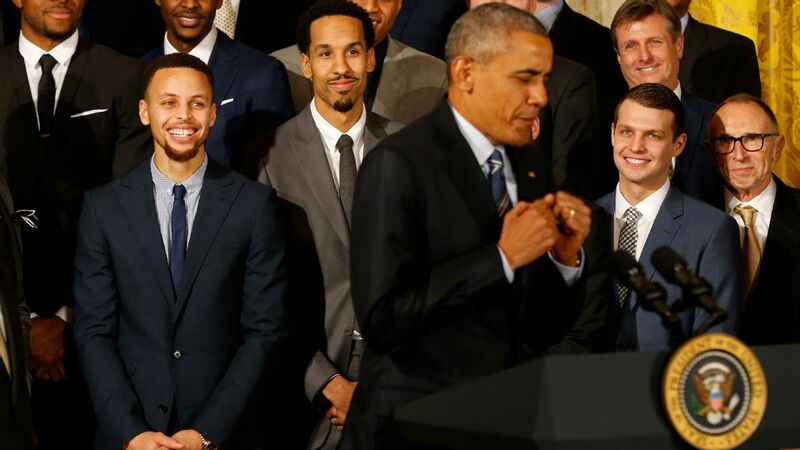 OAKLAND, Calif. -- Former President Barack Obama and Golden State Warriors superstar Stephen Curry told a roomful of minority boys on Tuesday that they matter and urged them to make the world a better place. Obama was in Oakland to mark the fifth anniversary of My Brother's Keeper, an initiative he started after the 2012 shooting death of 17-year-old Trayvon Martin. The death of the African-American teen sparked protests over racial profiling. "We had to be able to say to them, 'You matter, we care about you, we believe in you and we are going to make sure that you have the opportunities and chances to move forward just like everybody else,''' Obama said. The former president cracked up the audience -- and Curry -- when asked a question about being a man.